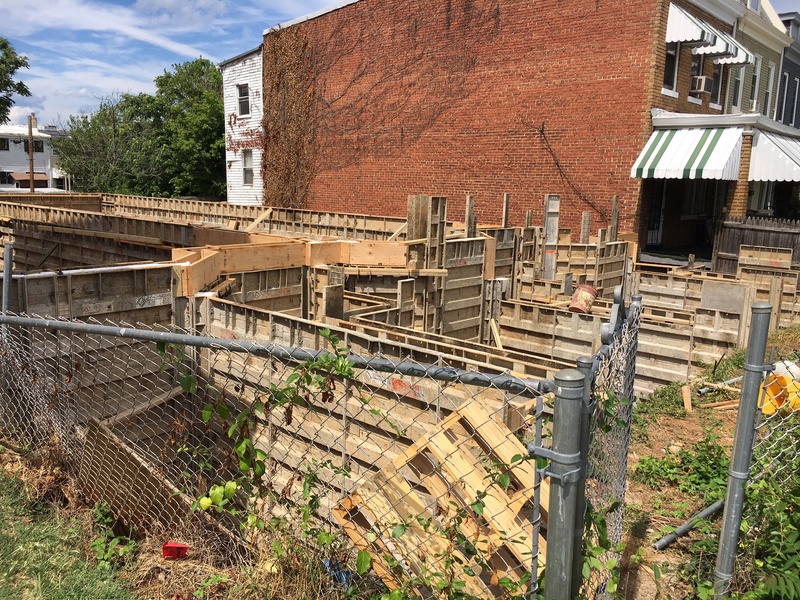 New Housing Coming to Newton Place After 4 Year Delay | Park View, D.C.
As reported in April, the long-stalled infill development first proposed for 429 Newton Place, NW, in 2012 and approved in 2013 is moving forward following a change in ownership. Over the weekend I observed that the foundations have been poured, an excellent sign that this isn’t another false start. 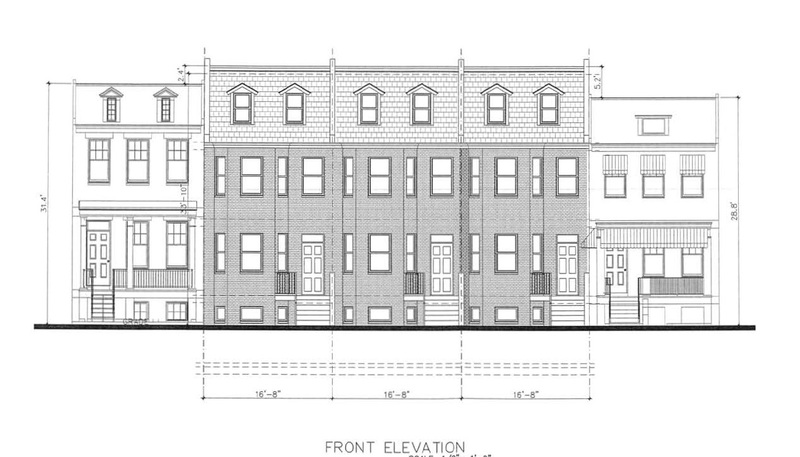 The project, as approved, will result in three rowhouse-type infill buildings. Each will contain two living units for a total of 6 new living units. Below is the elevation on how the development will integrate into the existing neighborhood. This entry was posted on July 10, 2017 at 7:01 am and is filed under Development, Housing. You can subscribe via RSS 2.0 feed to this post's comments. Great. What in the world caused such a long delay? I welcome the new development.